The New Year is approaching, a time to reflect on the year we are leaving behind and time to focus on prospects, some may struggle to decide the steps for achieving your goals. Firstly, I hope that you have had a great 2017 and achieved many things, whether this be personal or within business. The New Year is a great opportunity to start fresh for whatever reason this may be, it is important to set goals, it motivates us to reach targets and goals. However, it can be challenging when you know where you want to be but are not sure how to get there, to get you started for whatever goal this may be follow the below steps to provide you with a clear vision. Start with a specific goal – include a date and year you want to achieve this by, who does this involve? And specifically, what is it that you want to achieve? This ensures you are making progress towards your goal, so be sure they are specifically measurable. Realistically can you attain this goal? If so how are you going to do this? Is the goal you have set, relevant to what you want to achieve? Linking to your specific goal, it is important to have a specific date you want to achieve this by to keep you focussed and working towards something. Tip: Small milestone goals are great to set to keep you on track and motivated to achieve the ultimate goal. We are motivated by our inner desires and needs, so it is important that the goal you are setting is something that you are passionate about and want to achieve for you, as to achieve we must be motivated to do so. 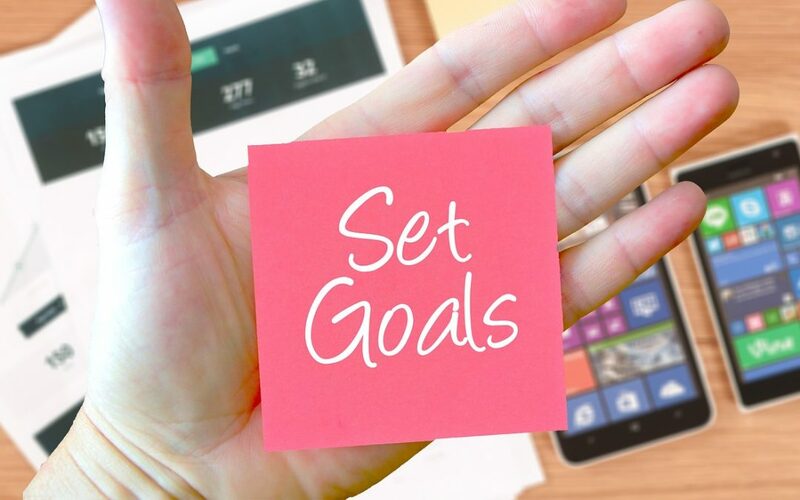 Another tool you could use to set goals could be to write your goals down and create an action plan, by writing them down you have already achieved a small step as you are taking action. You could manage this by checking your self-progress on a weekly or monthly basis and setting smaller action plans from there, again going back to those SMART objectives making sure it is a specific action. Tip: It is important to reflect on what you have achieved so far, because even the smallest of achievements are still great ones.